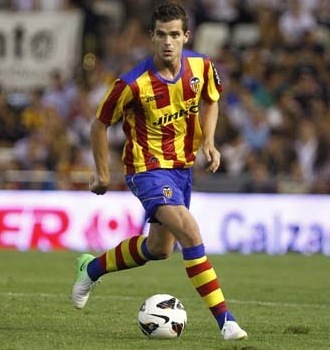 Fernando Gago is most likely going to leave Valencia CF this winter transfer window. I've learned that Fernando Gago is most likely going to leave by the end of January and the decision to leave Fernando Gago out of the squad to face Real Madrid is due to the fact he will leave and not a technical decision as has been reported. In fact this coincides with the report in Spanish media that Valencia CF are looking to bring Javi Fuego to Valencia CF this transfer window. As I've reported Valencia CF has reached a personal agreement with the player, but the club will now push to buy him right now and not wait until the summer to get him free. Reportedly Valencia CF is willing to pay as much as 1.5 million euros for Javi Fuego to bring him right now. Of course Gago's transfer is being negotiated right now and if everything works out fine, he should be sold in few days.